This is a die-cut Bear Service porcelain sign. 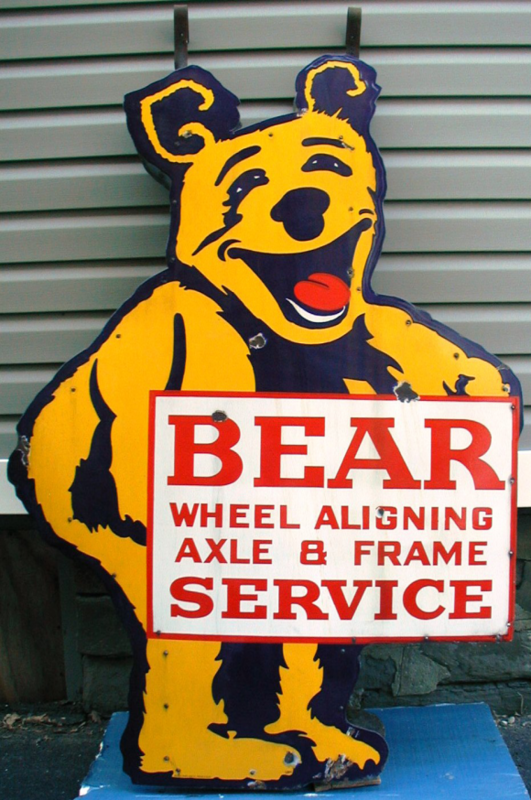 This particular Bear Service sign shows a yellow bear holding a red and white banner. It reads, “Bear Wheel Aligning Axle & Frame Service”.